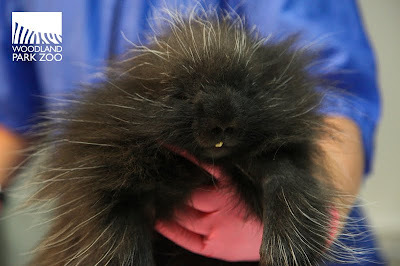 Molly and Oliver, our newly arrived 3-month-old porcupines, had a check-up with our vet team this week. The exam, part of their standard 30-day-quarantine, included taking radiographs, blood samples, and weights. 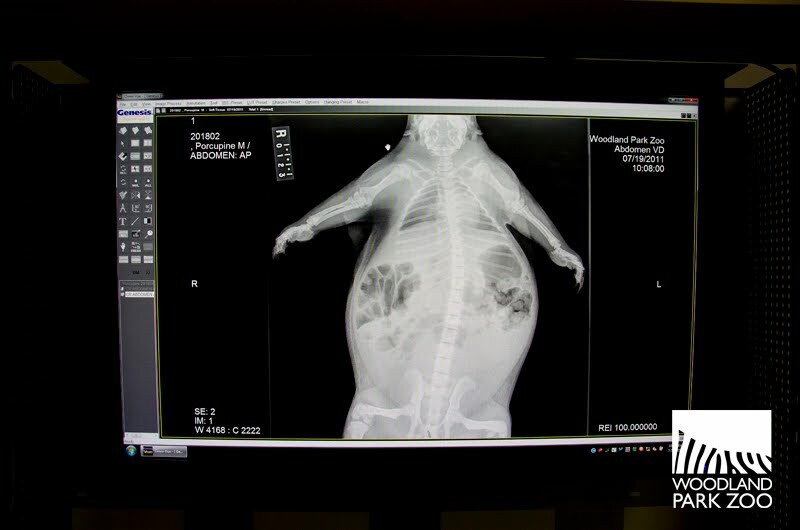 The animal health team deemed the two healthy and fit. Vets also inspected the bodies of the porcupines, which are covered with long hairs and quills. 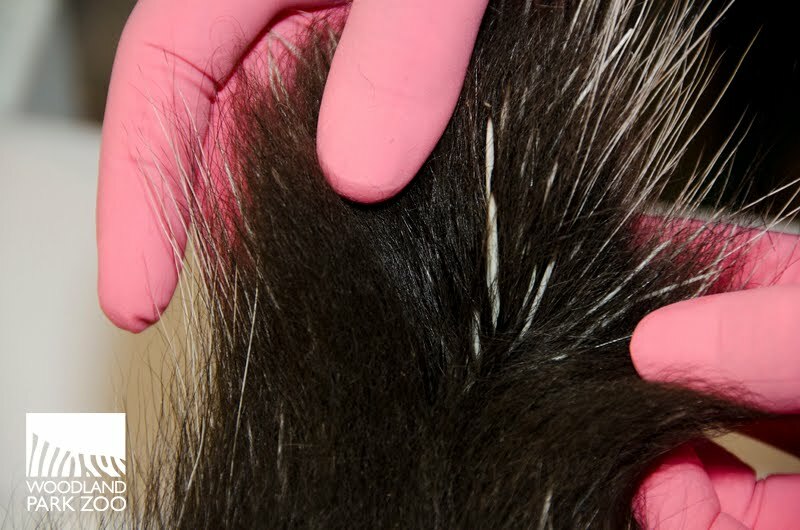 An adult porcupine is covered with 30,000 or more quills, with only its snout, throat, belly and feet pads exposed. The young pair is getting ready to move to their Northern Trail exhibit where they will be making a public debut in just a few weeks. This health exam helps to give us some baseline data so we can track how well they are doing once they get out there and as they grow and mature. 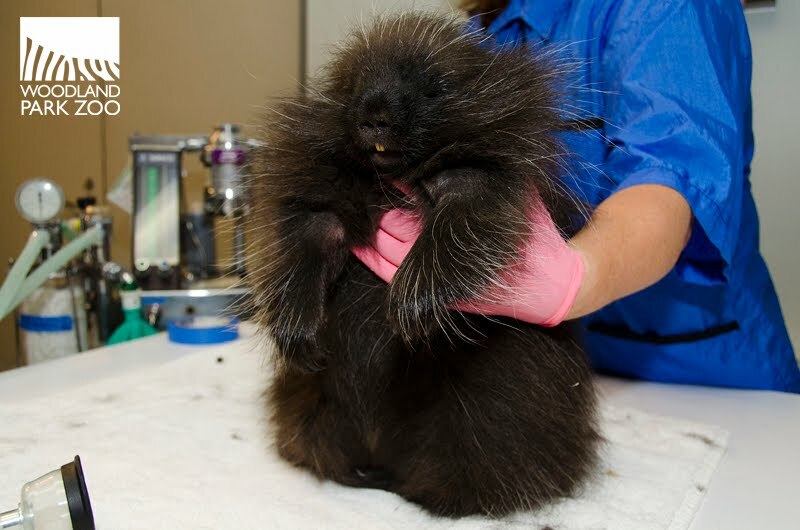 Regular examinations are a part of the excellent animal care and preventive health program for the more than one thousand animals under the zoo’s care. We’ll update again when Molly and Oliver are ready for their exhibit debut! Top photo by Lauren LaPlante/Woodland Park Zoo, all others by Ryan Hawk/Woodland Park Zoo. 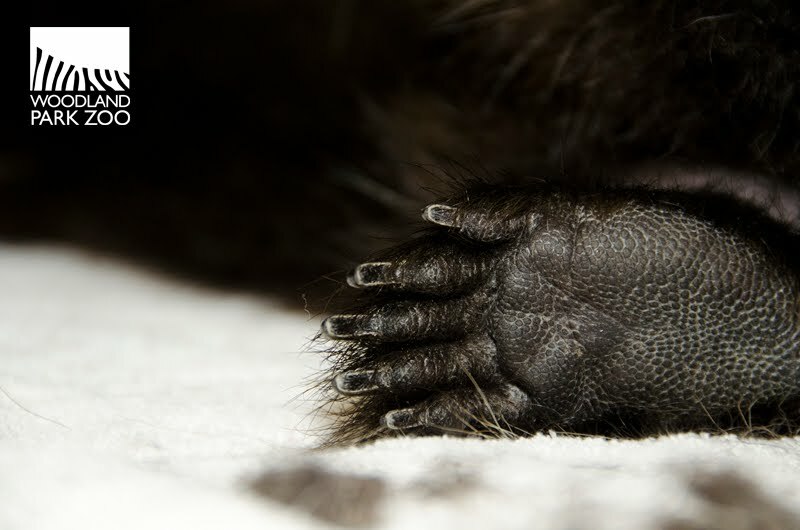 oh, those baby porcupine feet are adorable ! can't wait to see them in the exhibit.